I got some time yesterday to head on down to the basement and fired up the PC. After about 30 minutes of updates (it’d been a while since it’d been on) I was ready to play something and I loaded up Homeworld 2! The models weren’t rendering right! THIS IS THE REMASTERED EDITION!! Turns out, the game doesn’t like overlays. So I had to turn off AMD’s Gaming Evolved app overlay and that fixed it. A big thanks to Hammer Gaming‘s Valthonis for the quick Googling to point me to a post on the developer forums for the fix. Got the overlay turned off, found out my GPU needed an update… and I was good to go! I have another screen shot showing the better model but I forgot to upload it. I’ll get that tonight. UPDATE: And here it is! Once I was FINALLY able to get in the game I started with the tutorials. I played Homeworld 2 a bunch back in the day but man alive I totally forgot how it all worked. 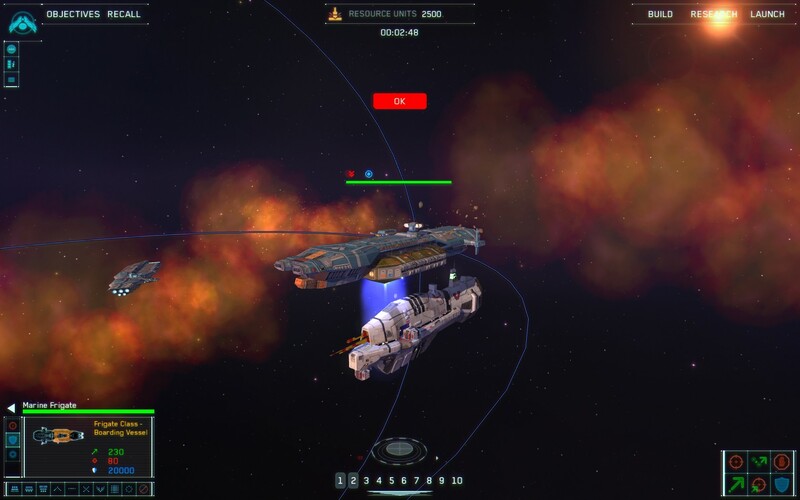 It’s a real time strategy (RTS) game that’s set in space. So it’s like StarCraft but in 3 dimensions. In it’s time, it was just a beautiful game and I think it holds up, still. Long weekend coming up. Hoping to get a good bit of gaming in. A quick update but hey, I need to get something out. Right? OH YEAH! I know I’ve mentioned them before, but the folks over at Hammer Gaming have a podcast called HammerCast and I highly recommend it. Been listening to their latest episode whilst writing this up and they provide a wide variety of gaming news and insights. Give ’em a try. They’re good folks and in no way paid me to say that. For real, though, they didn’t. But I’d totally let them.